The pomegranate (family Punicaceae) originates from the area around the Mediterranean. The cultivation of pomegranate has expanded further since then, mainly to the Middle East, because new varieties are hardy, resistant to salty conditions and tolerated more drought. Known pomegranate varieties are Wonderful (California and Israel), Mollar and Tendral (Spain), Schahvar and Robab (Iran), Hicaznar and Beynar (Turkey), Zehri and Gabsi (Tunisia). Pomegranates are harvested when they are fully ripe, have the right size and the right color (variety-dependent). Pomegranates remain fresh considerably longer by storing them in cold stores equipped with Controlled Atmosphere conditioning. 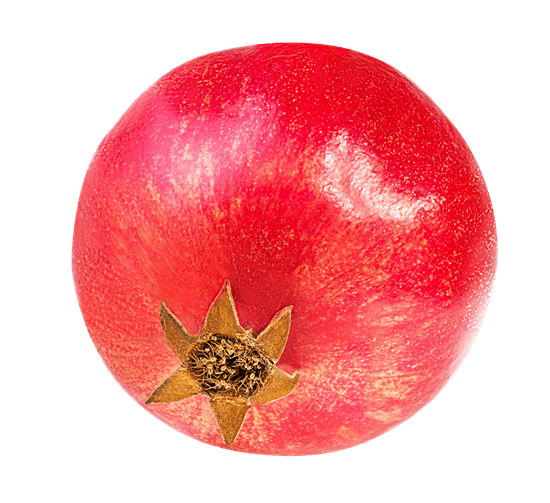 The optimal storage conditions for pomegranates are 3% O2 + 6% CO2. Storage in 2% O2 reduces the risk of low-temperature decay when stored at 5 °C or below. Pomegranates can be stored up to 6 months under CA! With CA, pomegranate can be stored for up to 6 months at 5 °C. Longer storage should be at 7.2 °C to prevent freezing damage. Pomegranate are very sensitive to moisture loss. Storage in liners, and a treatment with wax reduce moisture loss. Optimal R. V. for pomegranates is 90-95%. Questions about our solutions for pomegranate storage? Free advice on which solutions are suitable for your situation? Contact us for a free consultation!